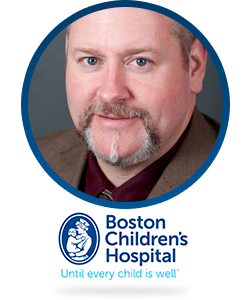 Kevin Pawl is the Senior Director of Patient Access at Boston Children’s Hospital. He is responsible for improving the patient, family and referring-provider experience when accessing services. In his current role, significant accomplishments have been made including the creation of a business intelligence tool which provides transparency to key Access metrics, as well as enterprise-wide Access standards that help align both hospital and physician delivered services. Mr. Pawl is an experienced leader with almost 30 years of increasingly high-level responsibilities. He started his career at Boston Children’s in 1989 and has held several positions within the hospital. He has been a lecturer and consultant at health care events and national meetings on patient access, practice operations and organizational culture. He is a Fellow of the Medical Group Management Association, holds certifications in Lean Process Improvement, and is certified with the American College of Medical Practice Executives. He holds a Master of Science in Leadership from Northeastern University.